A visit to Ngwenya compound! 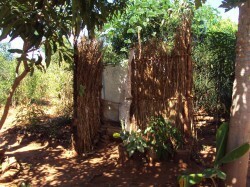 Ngwenya compound is about 8 kilometres on the southern side of Livingstone town. 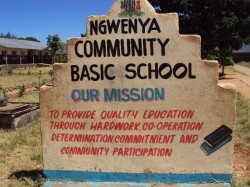 In this compound lies a school called Ngwenya Community School. And at this school Academic Work through Response Network supports 55 orphans and vulnerable children with education materials. 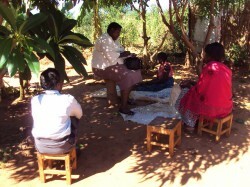 Today, the 4th day of April 2012 Elizabeth and I (Frayor) decided to visit 5 of the 55 families. Our trip started with a courtesy call on the Headmaster Mr Lusaka whom we found in the company of the guidance teacher Mrs Zimba. We received a very warm welcome and immediately we were shown the 20 children who were all anxiously waiting to take us to their respective homes! We explained that we would not be able to visit all the 20 homes due to insufficient time. So we settled on visiting 5 girls only. We could see the disappointment on the girls’ faces upon hearing this announcement. However, we assured them that we would still return to complete our visit at another time. Entry into Ngwenya compound on foot! Frayor and Mrs Zimba with the girls. Now come with us as we start our trip into the depth of Ngwenya compound! Our first stop is at Anastasia Mubukwanu’s house. Here is her story as told by her mother! 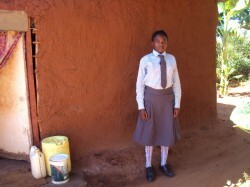 “My name is Rosemary Muchimba Mubukwani. I am 65 years old. I am a married woman though I have not been staying with my husband for the past 10 years reason being that he is staying in the village with his relatives. This was after he fell sick. He is mentally ill. At one time he was admitted to an institution in Lusaka for the mentally ill people. 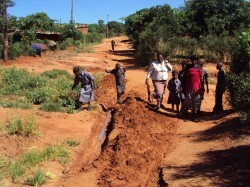 But it didn’t help until they just decided to take him to the village where he has been for the past 10 years. I had 10 children with him. 4 have since died. This girl you are supporting is my last child – i.e. 10th born! 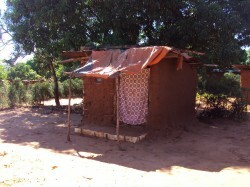 2 of her old siblings are married within this compound. So here I am keeping four of them in these two rooms. It has been hard to keep the family because I do not have a job. I earn a living by going around in people’s houses in the suburbs to look for piece works like washing clothes, cleaning the yard, working in gardens, etc. On a good day, I come home with K40,000 ($8) which I use to buy requirements for the home like mealie mealie, sugar, soap, etc. You can see that this money is not enough to send a child to school. So when I heard that my child was one of those selected to be helped by Response Network, I was very happy and gave glory and honour to God! You are doing a commendable job. 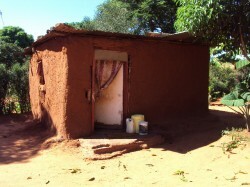 Well, here ends Mrs Mubukwanu’s story!We had to cut her story short as we still needed to visit 4 other homes. Our journey continues next week! 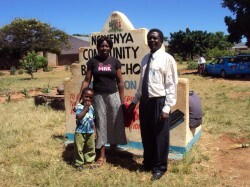 Hope you will join us as we visit Twaambo Chingobe’s family!